In this troubled time in South Africa’s history, the influence of and decisions made by the President of the country are critical. We want to encourage all believers to join this weekly Presidential Prayer Watch, as much prayer is needed. 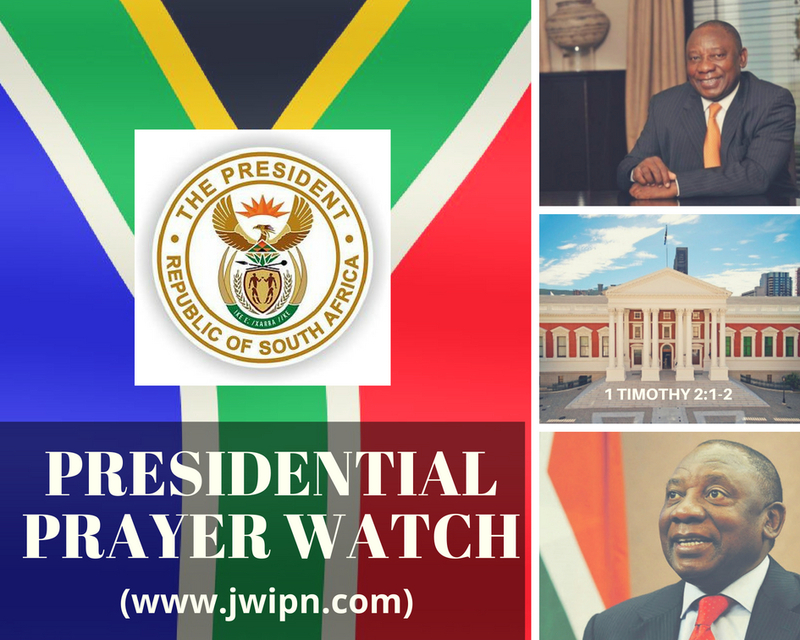 You will receive a two minute audio prayer once a week, inclusive of prayer pointers that can be used to pray for current issues regarding the President of South Africa. The message is sent to via a Broadcast Group. You have to save this number in your address book to enable the messages to be delivered to you. The prayer information can be used in weekly prayer groups, Bible study groups or cell/home groups. It can also be used in church on a Sunday as part of weekly anouncements, encouraging many more to faithfully pray for our President. Send your name & surname to +27 84 506 9853. Only requests received directly from individuals are added. We will not add a list of names on behalf of a group. You will then be added to the Address List. On the next Monday morning, you will be added to the Broadcast list and from that week onwards, receive the prayer requests for the President. Remember, you have to save this number in your address book to enable the messages to be delivered to you. Please encourage others to also join this group, so that we will raise up a wall of prayer for our President. Thank you for joining us in praying for the South African president. We know that the Lord hears us and will answer us. 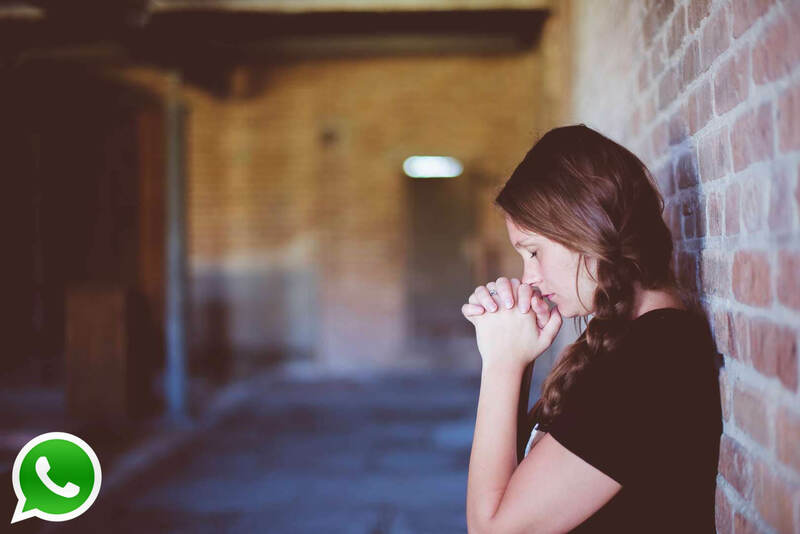 The Jericho Walls Prayer Room on WhatsApp has been established to mobilise intercessors to pray for important upcoming prayer concerns in our nation or worldwide. Individuals are invited to join this group to receive information. This is not a group where prayer requests are posted continually. A request will occasionally be launched for specific matters in need of prayer. These specific prayer sessions will be communicated to all subscribers to the WhatsApp group via a WhatsApp message. Add the following name and mobile number to your contacts list: Jericho Walls WhatsApp Prayer Watch, +27 84 989 8000. Remember, you have to save this number in your contacts list to enable the messages to be delivered to you. Send a WhatsApp message to this number with your first name and surname. You will then be added to the Broadcast address list. Instructions for each prayer session will be communicated to all participants once the WhatsApp Prayer Watch is activated for a specific issue of concern. Thank you for joining us as the Lord calls us to pray during these times of special prayer initiatives.